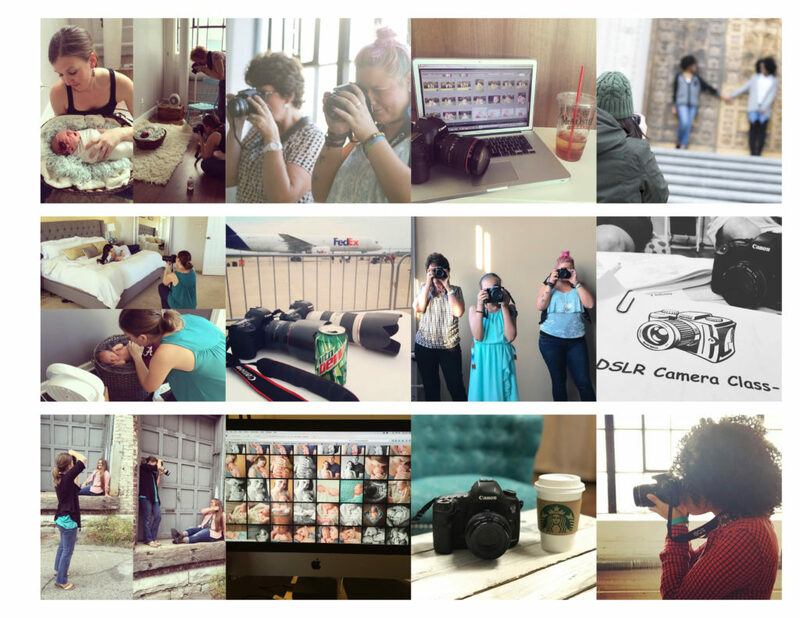 Want to learn how to use that fancy DSLR camera of yours? Here’s your chance. This is a hands-on class with opportunities for guided practice and independent practice. You will learn how to shoot in Aperture Priority, Shutter Priority, & Manual Mode. Here are topics and terms you will learn: ISO, white balance, aperture, shutter speed, exposure, light metering, f-stop, focus modes, etc… A class handbook is provided for use during the class and for extra practice at home. Please note, if your camera is not a DSLR but it shoots in manual mode, you may register for this class as well. This class is held at my downtown Indianapolis studio. Want to learn how to use that fancy DSLR camera of yours & learn some tricks to take better photos of kids and other people? This is a hands-on class with opportunities for guided practice and independent practice. Forget learning about manual mode. 2-3 hours will be spent learning a few key items on your camera, like aperture priority and shutter priority, that will instantly transform the quality of your photos. The remainder of time will be focused on tips for taking better photos of your kiddos and creating photography environments that will give you better results. We will also eat dinner together and have some fun chatting . Feel free to stick around afterwards for a drink and enjoy more adult conversations if you wish! (And all the Moms say “Oh yah! !”) Here are topics and terms you will learn: ISO, white balance, aperture, shutter speed, exposure, f-stop, lifestyle photography, etc. A class handbook is provided for use during the class and for extra practice at home. This class is held downtown at my studio. NEXT CLASS: contact Jill Howell at jill@raindancerstudios.com or 317.374.8713. Get 1 or more friends to join you and Jill will set a new class time that works for your schedule! Portrait Photography Mentoring is your chance to watch and learn from Jill in action as she guides and mentors you during two portrait sessions with children, family, couples, or a high school senior (your choice!!) This is intended for beginner photographers. This is a portfolio building opportunity and a great way to learn if you are an experienced based learner. Jill will lead the sessions and give you opportunities to lead portions as well. You will have an opportunity to shoot photos and take notes as Jill talks through what she is doing and why she is doing it. This is a great learning experience and an opportunity to ask questions during a live photo session. Be prepared to gain a ton of tips! Those of you who own a DSLR camera and know how to use the different camera modes will benefit even more from this experience! Newborn Photography Mentoring is your chance to watch and learn from Jill in action as she guides and mentors you during two newborn photo sessions. This is intended for beginner newborn photographers. This is a portfolio building opportunity and a great way to learn if you are an experienced based hands-on learner. Jill will lead the session and collaborate with you while allowing you to help pose and wrap the babies. There will be a combination of both posed and lifestyle photos taken during this mentoring session. You will have an opportunity to shoot photos and learn as Jill talks through what she is doing and why she is doing it. This is a great learning experience and an opportunity to ask questions during a live photo session and afterwards. Be prepared to gain a ton of tips! Those of you who own a DSLR camera and know how to use the different camera modes will benefit even more from this experience! Jill accepts college interns but only one at a time. Because of her education background and love for teaching, she enjoys encouraging and equipping new photographers to enter the field of photography. Contact Jill for more information and to interview for a position at jill@raindancerstudios.com or 317.374.8713. ****Note: All photography classes are taught with a multi-sensory approach for all styles of learning. Classes are taught in Indianapolis. If you are interested in a particular class but are unable to attend a class date listed, please contact Jill with your availability. All it takes is two people interested to set a new class date and time. For more information regarding future classes, please contact Jill at jill@raindancerstudios.com or 374.8713.